Numark Users: Serato DJ 1.5 was introduced primarily to deliver DVS support, however Numark has determined that Serato DJ 1.3 offers superior stability when used with Numark controllers, including NS7, NS7II and NS6, and since the additional features of 1.5 do not dramatically impact Numark users, Serato and Numark strongly recommend that for optimum performance, Numark users download and use Serato DJ 1.3 until further notice. Serato is proud to announce the launch of Serato DJ 1.3.0, an update to our newest DJ software for professional DJs. Serato DJ 1.3.0 comes with two brand new FX Expansion Packs, containing new FX powered by iZotope. The Wolf Pack, available as a free download, and the Back Pack, which is available to purchase for USD19. Expansion Packs can be purchased / activated in-app within the Serato DJ ’Online’ window, or from the Serato Online Store. Each new FX Expansion Pack comes loaded with several base FX for use in Single FX Mode, plus, a large number of base FX variations for use in Multi FX Mode. For the full list of FX available in the Wolf Pack and Back Pack, and to watch Logan from the Serato Product Team demo the new FX, please visit the FX Expansion Packs page. Firmware and Drivers: To ensure your controller is ready to use with Serato DJ, the latest available drivers AND firmware updates, are available on the Serato DJ support page. With Serato DJ 1.3.0 anyone using a supported Serato DJ controller will now be able to use Slip Mode. When Slip Mode is activated you can manipulate the audio as normal (e.g Scratching, Looping, triggering Cue Points etc) however, once you have finished, the playback position is returned to where it would be if you had not manipulated the audio. Slip Mode can also be MIDI mapped to a secondary MIDI controller if your hardware doesn’t have a dedicated Slip Mode button. 1.3.0 also comes with added performance optimization and stability fixes. Check the release notes for Serato DJ 1.3.0 for more information. 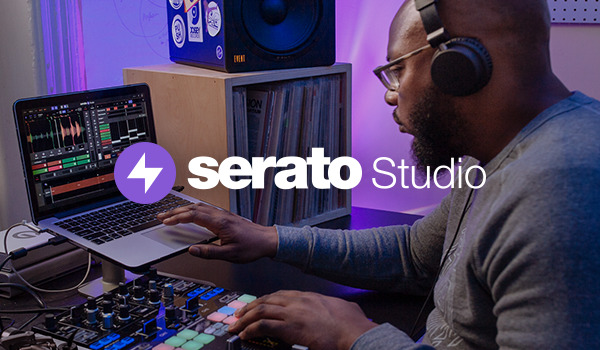 Read the full Serato DJ 1.3 release notes. It looks like you're on a mobile or tablet. Serato DJ is a desktop app, so you'll need to download it from your computer. Please Note: Currently we do not support Windows 8 or AMD processors.